The Staff were very helpful and friendly . The facilities were always clean and functional. 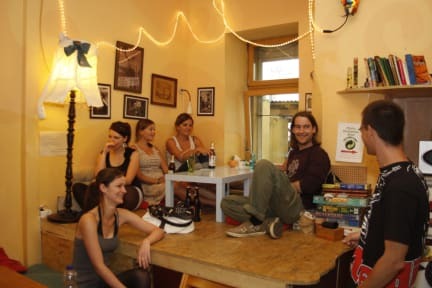 The space of the kitchen and adjoining common area was small but big enough for the amount of people that were staying, I also like this because it creates a nice atmosphere where you can connect with other travellers. The dorm rooms were very comfortable. Lovely stay with great staff. Very helpful and would love to stay again. Good music, nice people, great atmosphere. Located near an area with good nightlife. Free coffee in the morning, absolutely no complaints. Excellent stay! Only stayed one night but hung around while waiting for a night bus. Lovely staff and a brilliant social vibe.